2015 is shaping up to be a significant year in the advancement and adoption of genome sequencing and personalized medicine around the globe. The year 2015 is shaping up to be an inflection point in the advancement and adoption of genome sequencing and personalized medicine. While private initiatives are often the centerpiece of media coverage, leading governments clearly have advanced a number of important initiatives this year. Indeed, many governments around the globe are actively promoting widespread utilization of genomics, supporting academic research, establishing industry guidelines, and raising public awareness. Additional funding is earmarked to maintain databases and develop industry standards. — Germany and the U.K. expanded eligibility for government-funded genetic testing for breast cancer patients. — Israel announced its intent to establish a government-sponsored genetic database. — Through the National Institutes of Health and the National Cancer Institute, the U.S. federal government proposed dozens of new funding opportunities to support research in genetic sequencing and analysis. — Japan launched an Initiative on Rare and Undiagnosed Diseases to provide genomic analysis and expert consultation for up to 1,000 individuals with childhood onset of undiagnosed conditions. — Through Genomics England (which I described in further detail here), the U.K. Department of Health tapped WuXi NextCODE and others to begin interpretation in its groundbreaking 100,000 Genomes Project. Support the Qatar Genome Project. 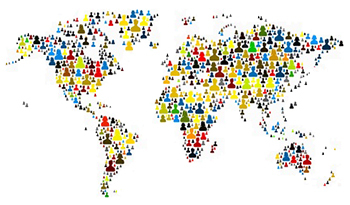 As I have discussed in an earlier post, large-scale population studies are an essential step in harnessing the power of genomics to improve health worldwide. Since WuXi NextCODE’s foundational heritage as part of deCODE Genetics’ landmark analysis of Icelanders, we have always developed the tools to help translate sequence data into precision medicine on a large scale. In our work with Genomics England, our collaboration with Fudan Children’s Hospital to diagnose rare diseases in China, and now our partnership with Sidra, the team at WuXi NextCODE is leading the effort to realize the potential of genomics on a truly global scale. The increasing interest in supporting those efforts shown by leading governments across the globe is helping to drive the successful use and application of genomics worldwide. This entry was posted in genomic medicine, personalized medicine and tagged 100000 Genomes Project, deCODE genetics, Fudan Children's Hospital, genome sequencing, genomic data, genomics, Genomics England, National Cancer Institute, National Institutes of Health, personalized medicine, precision medicine, Qatar Genome Project, rare diseases, sidra medical and research center, Wuxi NextCODE by Hannes Smarason. Bookmark the permalink.